Train With Kristin | Let's Transform Your Life And Your Body Together! For the past eight years, I have helped clients transform their bodies and their lives through challenging and fun workouts. My fitness programs are designed to provide clients with a full body workout for maximum fitness potential based on that particular client’s fitness level. Train In My Private Workout Studio Or Your Own Home! Train with me in my private workout studio or for your convenience, I can come to you! We will work together to establish a personalized workout schedule that best accommodates your calendar and busy life. My fitness programs are designed to provide clients with a full body workout for maximum fitness potential based on that particular client’s fitness level. Workouts include a combination of strength training and cardiovascular interval training such as jumping jacks, mountain climbers and burpees. Every workout session is a combination of different exercises to avoid the “plateau” effect and to help clients successfully achieve their fitness goals. Clients use a variety of equipment such as Body Solid cable machine, TRX suspension training, kettlebells, dumbbells, balls and bands to change up the workout programs. It is has been a little over five years since I started working out with Kristin and I feel great. I am stronger and feel better about my body. I never would have thought that I would be able to work out at the level that I do, but I give credit to Kristin for her encouragement and positive attitude. In fact, exercising has inspired me to join a running club and compete in two 5K races. 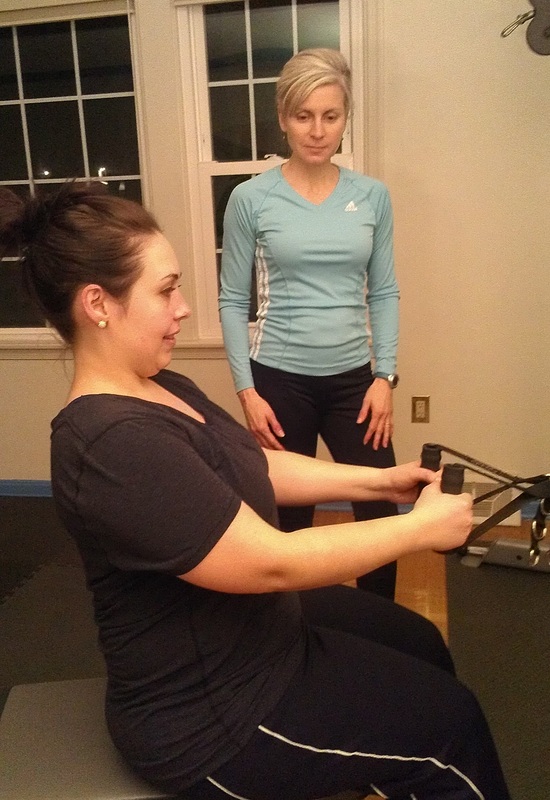 I would recommend Kristin to anyone who wants to gain strength and confidence. Kristin is a fantastic personal trainer. She has been providing me with weekly customized, challenging, effective workouts for the past 3 years. Each workout session is different so I never get bored. Kristin targets the exercises to my overall health and fitness goals. I recommend her to anyone interested in taking their fitness to the next level. I’ve been going to Kristin for about 3 years and it has been a great experience. Each week she has different workouts planned so I never get bored, and I’m always challenged. Kristin plans a combination of cardio and strength training routines. I can see changes in my endurance and how I look in photos. Kristin is warm, friendly and never judgmental. Overall, it’s been a positive experience and I look forward to my weekly sessions. 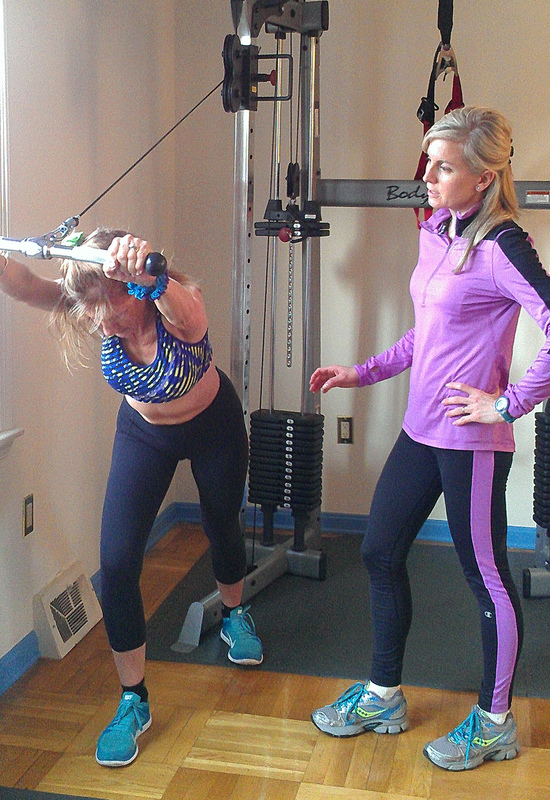 Now I am pregnant and Kristin has tailored my workouts to accommodate my pre-natal care. I Would Love To Work With You . . .